Ceremonial smoke clouds fill the air and I stare at it wondering, why does this make me feel better? If someone smokes a cigarette near me I instinctively move away and seek fresh air. If I go out dancing in Europe, the smoke-filled spaces make my throat close up and I lose my voice the next day. In contrast, the lingering effects of smoke from burning sage are not irritating to me. This intrigued me to do a bit of research on why—what I found is truly amazing. 1. What is sage? and what makes this smoke so special? Sage is an evergreen subshrub, with woody stems, grayish leaves, and blue to purplish flowers. It is a member of the mint family. It is used sparingly in cooking and is well-known for being dried into bundles to use in the art of smudging. 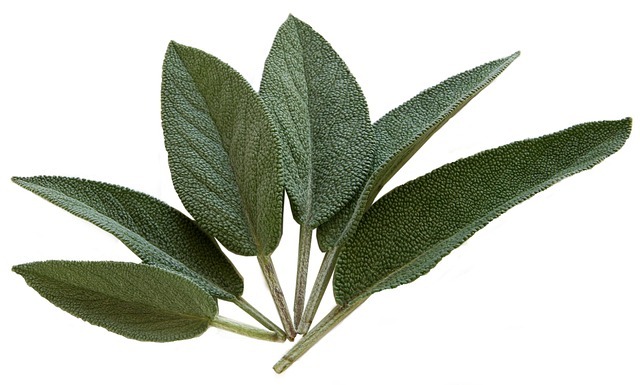 Sage is picked fresh, while still leafy and vigorous, then dried and bundled up. The essential oils remaining in the leaves become concentrated, producing the characteristic sage aroma that scents the smoke when burned. What Makes Sage Smoke Special? In Latin, sage is Salvia, which stems from the word to heal. Sage has been used since ancient times for numerous healing rituals. The smoke that’s emitted from the dried herb bundle is believed to cleanse negative energy and purify or bless people and places. Similar to washing your hands before a meal, burning sage helps to cleanse a person’s energy in a bath of aromatic smoke. This energetic practice is called cleansing or smoke bathing. If you grew up exposed to religious gatherings, you have most likely witnessed the use of smoke in a ceremony. For some, it was frankincense and myrrh being burned during Sunday mass. For others, it might be smoldering incense at their Buddhist Temple, or the spiraling tendrils of bukhoor in a mosque. The use of smoke is connected across multiple spiritual beliefs. In the Indigenous Peoples’ tradition, it’s seen as a bridge to the higher realms: a way to bring in good spirits and dispel the negative or stagnant ones. 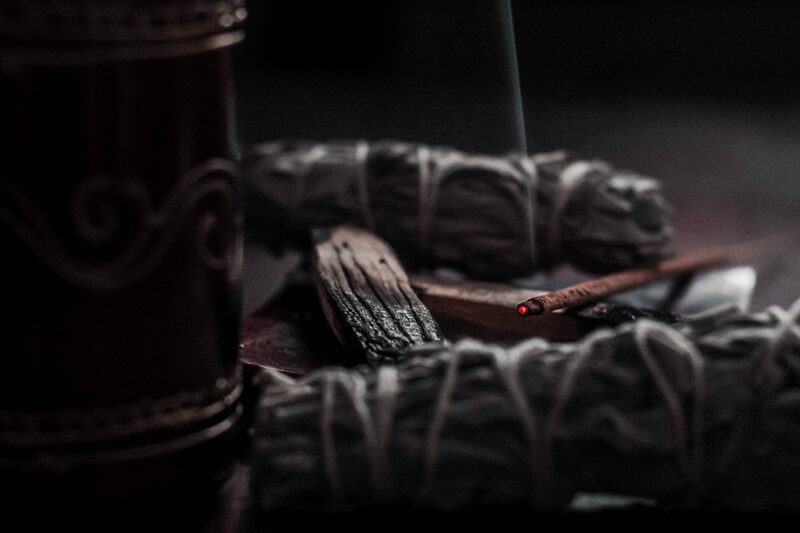 Smudging is an ancient art that has been practiced by Indigenous Peoples’ for centuries. It’s the name given to the ceremonial, daily act of cleansing and purification using the smoke of a dried sage bundle. Although the spiritual benefits of these practices might be viewed with skepticism, the health benefits are proven. As it turns out, this ancient practice literally does clear the air. A 2007 study did a comprehensive analysis to determine the actual effects of a smudging ritual. The results showed that a smoke purification ritual causes over 94% reduction of bacterial counts, proving the ability of the smoke to purify or disinfect the air and to make the environment cleaner. Even further, the amazing results showed that this was maintained up to 24 hours in the closed room after one smoke ceremony. In addition to purifying bacterial counts, it has shown to affect the “feeling” of a room. Have you ever felt the tension between two people or when you walked in a room? You may notice this because you identify with being an intuitive person, but there is also a real scientific reason for this. Ions are all around you right now and, whether you are aware of them or not, there is a good chance they are affecting the way you feel and quite possibly your health. When positive ions fill the air, your space can literally become toxic. How? An ion is a molecule that has lost or gained an electron through various atmospheric forces or environmental influences. Positive ions are molecules that have lost one or more electrons, being lighter they float through the air and are so small they can be absorbed directly into your bloodstream from the air you breathe. Stress, anger or any form of tension release positive ions at a measurable difference. In contrast, negative ions gain a negatively charged electron and become charged. This creates a static attraction that allows negative ions to attach themselves to positively charged particles in large numbers. As a result, positive charged viruses, bacteria and pollen spores become too heavy to remain airborne and are prevented from entering your breathing passage where they can affect your physical health and mental wellbeing. Negative Ions are found in abundance in nature, especially around waterfalls, by the ocean and after a storm. They are widespread in mountains and forests. If you live in an urban area far from these natural negative ion rich atmospheres, the art of smudging can help bring more negative ions into your home and offer the above benefits. Though burning sage is highlighted here, it is important to note that sage is not the only plant that can be burned to make smoke for cleansing. As mentioned above, diverse religious ceremonies utilize various elements for smoke air purification ceremonies. The following are the most popularly used in home rituals. 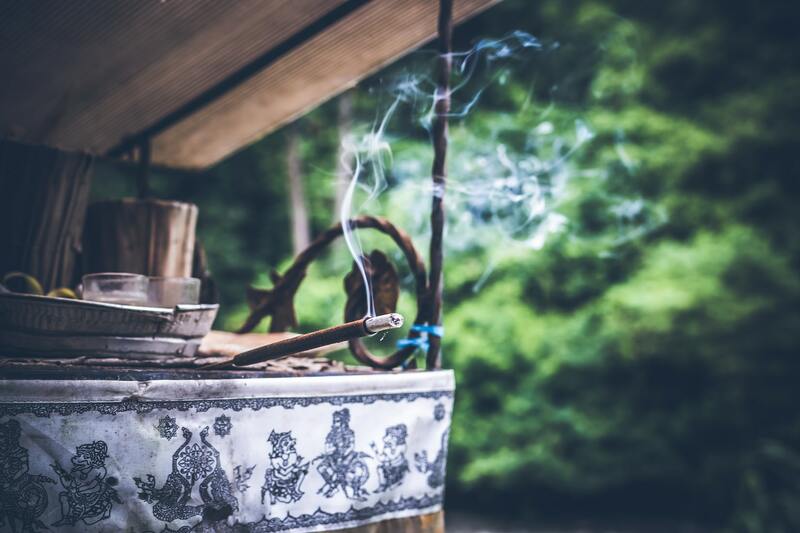 There are varying degrees of ritual commitment that you can perform when smoke bathing. 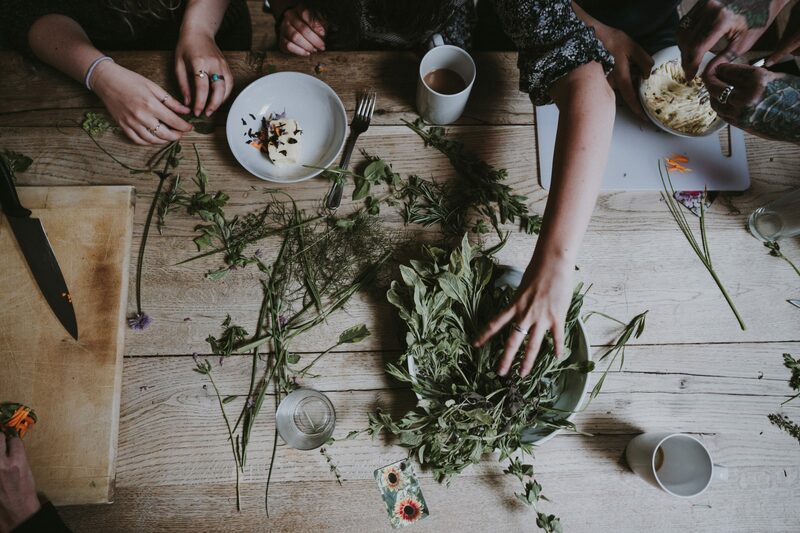 The very basic ritual is to light a sage bundle, blow it out so it’s smoking and walk slowly in a circle around your space allowing the billowing smoke to permeate the area. This primarily achieves the scientific supported bacterial clearing of the air. A more specific smoke bathing ritual, close to the Indigenous Peoples’ smudging tradition is shown here. Why are you performing this ritual? Becoming clear on the reason you are doing the ceremony is the most critical element of the process. From this space, you can select your items to support your intention and perform the ritual while holding the purpose at the forefront of your mind. …in the space you are in, creating a flow of air from outside. …[sage, palo santo, sweetgrass] over your chosen vessel. • Gently blow out the flame, allowing the material to smolder. • Focus your energy on the smoke. • If a true flame appears, blow on it until it turns to embers and smoke. • Capture any ashes in the vessel as you walk around. • You may need to re-light the bundle a few times during the smudging process. Once you have a good amount of smoke going, use your hand or a feather to direct it over your body and draw the smoke around you. Starting from the top, bring the smoke over and around your head, down your torso, all the way to your feet. Make sure to pay attention to your breathing while doing this. Slow and relaxed. Stay connected to your breathing throughout and visualize your intention. 7. After cleansing yourself, move through your space. Slowly walk around, take the smoke to each area you would like to cleanse. Use your feather or hand to waft the smoke gently into the corners of each room, concentrating on gateway areas such as doorways, windows, closets and hallways as well as into shadow spaces and over any plants or pieces of furniture. Be present with the smoke and watch carefully how it behaves and flows around specific people and objects. When fully aware, you may notice that it can move differently as it touches certain things. It is believed that there is information there to pay attention to. Be careful not to breathe in the smoke directly. Do not to fill the area too thickly with smoke—this is not a fumigation, just a cleansing, so be careful not to overdo it. Once you have finished smudging, tradition tells us that the ashes should be brought outside and returned to the soil. It may be superstition, but many tribes believe that the charred residue carries its own energy and must be given back to the earth. After the completion of smudging, you may experience a feeling of being lighter, more energized or calmer depending on what your intention was during the process. After discovering the added benefits of air purification supported by scientific studies I am inspired to start a more regular practice of smudging. How about you? Does this inspire you to give smudging a try? If you do, we look forward to hearing how it goes, what you learn and how it makes you feel! Let us know in the comments below! Medicinal smoke can completely eliminate diverse plant and human pathogenic bacteria of the air within confined space.